We are pleased to announce the Featured Journal of this Month, Genes. Genes is an open access journal of genetics and genomics published monthly online by MDPI. Since it was launched in 2010, 8 volumes have been published, comprising 642 articles that provide advanced insights into studies related to genes, genetics and genomics. The current Impact Factor is 3.600, and the five-year impact factor is 2.984. Prof. Dr. J. Peter W. Young, Editor-in-Chief of Genes says that, “genes are central to our understanding of biology, and modern advances such as genomics and genome editing have maintained genetics as a vibrant, diverse and fastmoving field”. For this reason, there is a need for good quality, open access journals in this area, and the Genes team aims to provide expert manuscript handling, serious peer review, and rapid publication across the whole discipline of genetics. The journal publishes reviews, research articles, communications and technical notes with emphasis on the following topics: genetic code; gene structure; gene expression; chromosomes; recombination and linkage; genetic mapping; transcriptional profiling; analysis of noncoding and other RNAs, genome projects; genomics; sequencing technologies and bioinformatics. In the following, we present a selection of recently published papers that highlight the latest research in the field of genetics. Jessica E. Thomas, Gary R. Carvalho, James Haile, Michael D. Martin, Jose A. Samaniego Castruita, Jonas Niemann, Mikkel-Holger S. Sinding, Marcela Sandoval-Velasco, Nicolas J. Rawlence, Errol Fuller et al. One hundred and seventy-three years ago, the last two Great Auks, Pinguinus impennis, ever reliably seen were killed. Their internal organs can be found in the collections of the Natural History Museum of Denmark, but the location of their skins has remained a mystery. In 1999, Great Auk expert Errol Fuller proposed a list of five potential candidate skins in museums around the world. Here we take a palaeogenomic approach to test which—if any—of Fuller’s candidate skins likely belong to either of the two birds. Using mitochondrial genomes from the five candidate birds (housed in museums in Bremen, Brussels, Kiel, Los Angeles, and Oldenburg) and the organs of the last two known individuals, we partially solve the mystery that has been on Great Auk scholars’ minds for generations and make new suggestions as to the whereabouts of the still-missing skin from these two birds. Figure 1. 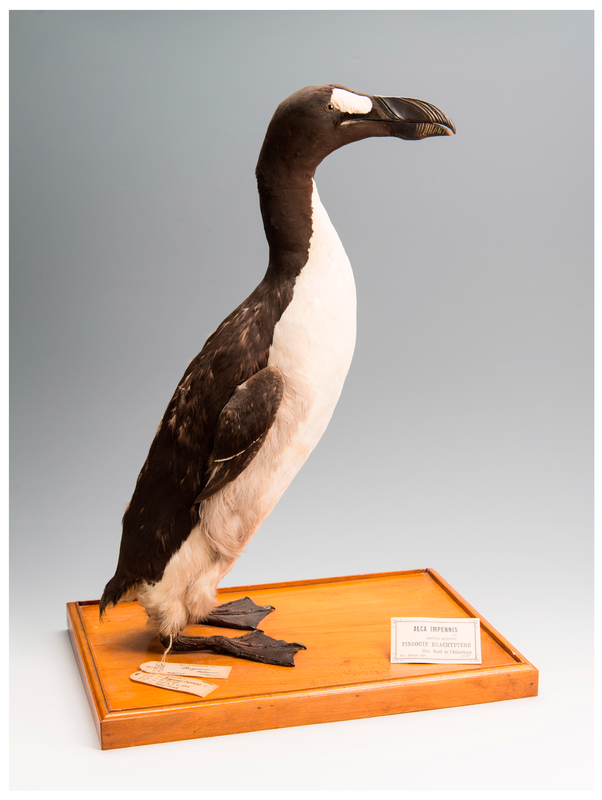 A mounted Great Auk skin, The Brussels Auk (RBINS 5355) (MK135), from the collections at Royal Belgian Institute of Natural Sciences (Credit Thierry Hubin (RBINS)). 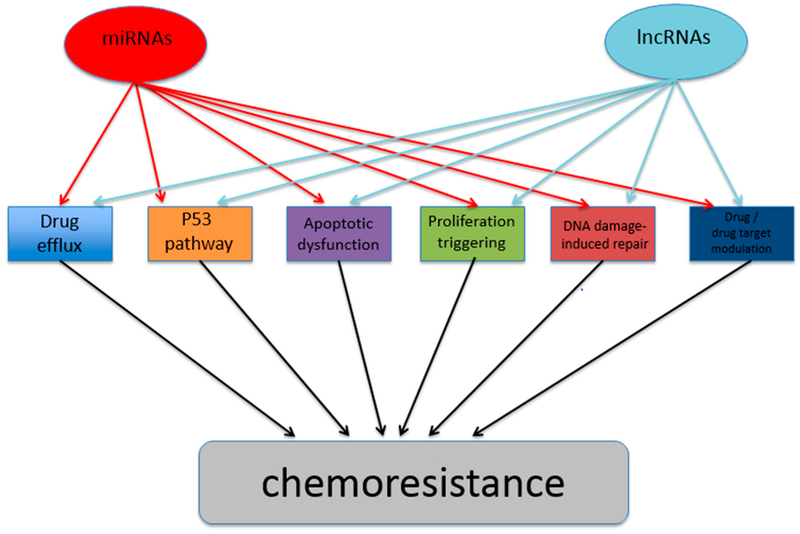 Innate and acquired chemoresistance exhibited by most tumours exposed to conventional chemotherapeutic agents account for the majority of relapse cases in cancer patients. Such chemoresistance phenotypes are of a multi-factorial nature from multiple key molecular players. The discovery of the RNA interference pathway in 1998 and the widespread gene regulatory influences exerted by microRNAs (miRNAs) and other non-coding RNAs have certainly expanded the level of intricacy present for the development of any single physiological phenotype, including cancer chemoresistance. This review article focuses on the latest research efforts in identifying and validating specific key molecular players from the two main families of non-coding RNAs, namely miRNAs and long non-coding RNAs (lncRNAs), having direct or indirect influences in the development of cancer drug resistance properties and how such knowledge can be utilised for novel theranostics in oncology. Figure 2. Model of miRNA and lncRNA influences on varying molecular pathway mechanisms leading to downstream effects on cancer chemoresistance phenotypes. Deregulation of MYC family proteins in cancer is associated with a global reprogramming of gene expression, ultimately promoting glycolytic pathways, cell growth, and proliferation. It is well known that MYC upregulation triggers cell-autonomous apoptosis in normal tissues, while frankly malignant cells develop resistance to apoptotic stimuli, partly resulting from MYC addiction. As well as inducing cell-autonomous apoptosis, MYC upregulation is able to trigger non cell-autonomous apoptotic death through an evolutionarily conserved mechanism known as “cell competition”. With regard to this intimate and dual relationship between MYC and cell death, recent evidence obtained in Drosophila models of cancer has revealed that, in early tumourigenesis, MYC upregulation guides the clonal expansion of mutant cells, while the surrounding tissue undergoes non-cell autonomous death. Apoptosis inhibition in this context was shown to restrain tumour growth and to restore a wild-type phenotype. This suggests that cell-autonomous and non cell-autonomous apoptosis dependent on MYC upregulation may shape tumour growth in different ways, soliciting the need to reconsider the role of cell death in cancer in the light of this new level of complexity. Here we review recent literature about MYC and cell competition obtained in Drosophila, with a particular emphasis on the relevance of cell death to cell competition and, more generally, to cancer. Possible implications of these findings for the understanding of mammalian cancers are also discussed. Figure 3. Hypothetical mechanisms of intra-tumoural cell competition. A cancer sub-field is represented in which super-competitor cells (brown), such as those upregulating MYC, form competitive niches that induce apoptotic death in the surrounding weaker cells (green). As cancer grows, new competitive niches develop from cells competent to exploit the signals coming from dying cells. Elimination of the loser cells gets to be inefficient, given their exponential increase in number within the cancer mass. Posted in Feature Highlights, Genes, Journal of the Month, MDPI News, New and Notable, Open Access Publishing and tagged DNA methylation, Drosophila, extinct birds, genes, genome, MYC.